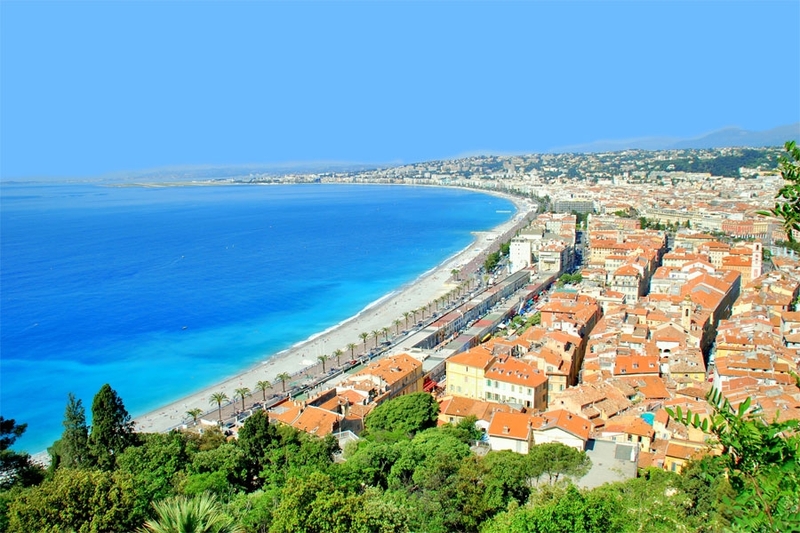 Nice was built in the idyllic setting of the Baie des Anges, with a centre filled with French and Italian aspects. Even though Nice is located north from the border, it still reminds you of Italy. Particularly in the old town centre, boasting with narrow and colourful alleyways that look a lot like the ones in Italy. By the sea, the English have built luxury hotels along the famous seafront, called the Promenade des Anglais. In this town of art, you’ll find various museums, like the Matisse museum.